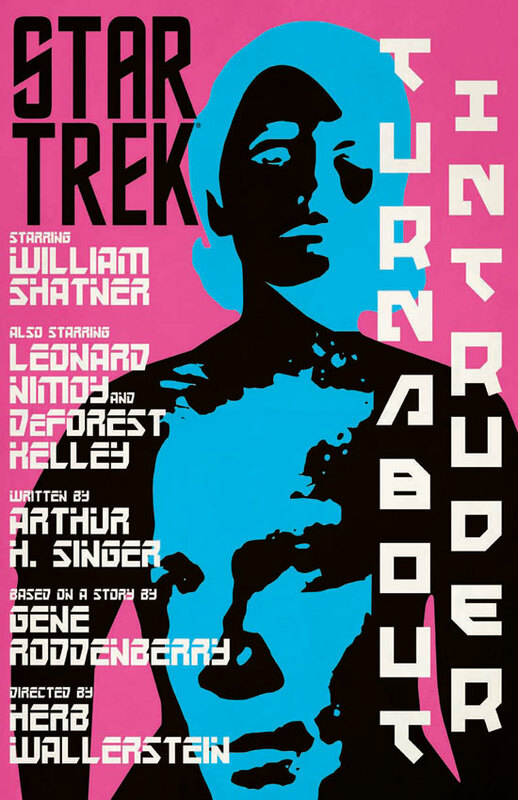 This month sees the twentieth, and final, set of prints in Juan Ortiz's series of TOS retro designs (don't worry about withdrawal though, the TAS series is still to come), and as usual StarTrek.com have previewed the set, with commentary on each design by Ortiz, highlights from which follow. 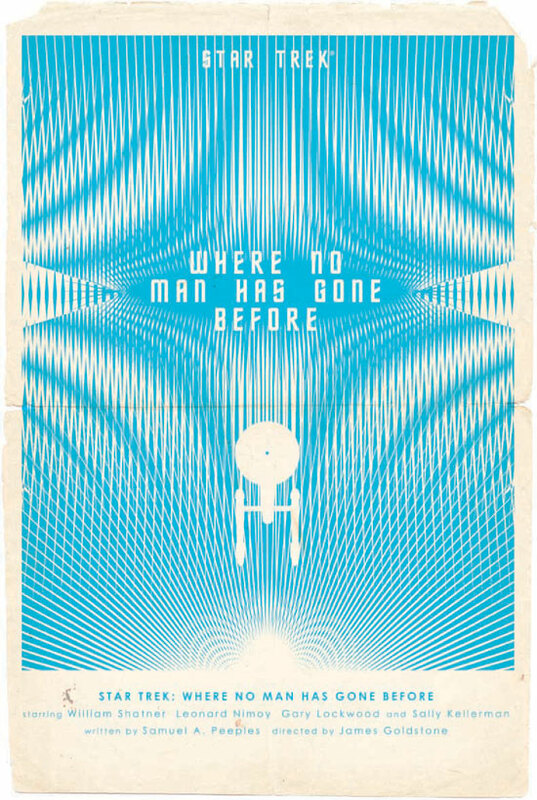 My favourite from this rounds has to be Where No Man Has Gone Before, as the title is a phrase used throughout Star Trek it makes quite a nice general Trek op-art poster. The image was created in Adobe Illustrator. A lot of it is by trying and failing until I get it right. I may have spent more time figuring out the color before finally settling in on the blue. It began with the rabbit. I tried several different illustration styles, but couldn't quite get the right level of seriousness. The collage direction was the way to go, for me. The grays and muted colors give it a more mature look, away from the obvious guy-in-a-rabbit-suit aspect of the episode. I seem to have a different favorite depending on my mood, but this one keeps popping up. I like when an idea comes together with ease, like this one did. It's simple, but works without being too illustrative or too colorful. It's the right balance of seriousness that I was trying to achieve, especially when your main image is a rabbit in a suit. I wanted it to be more thought-provoking. 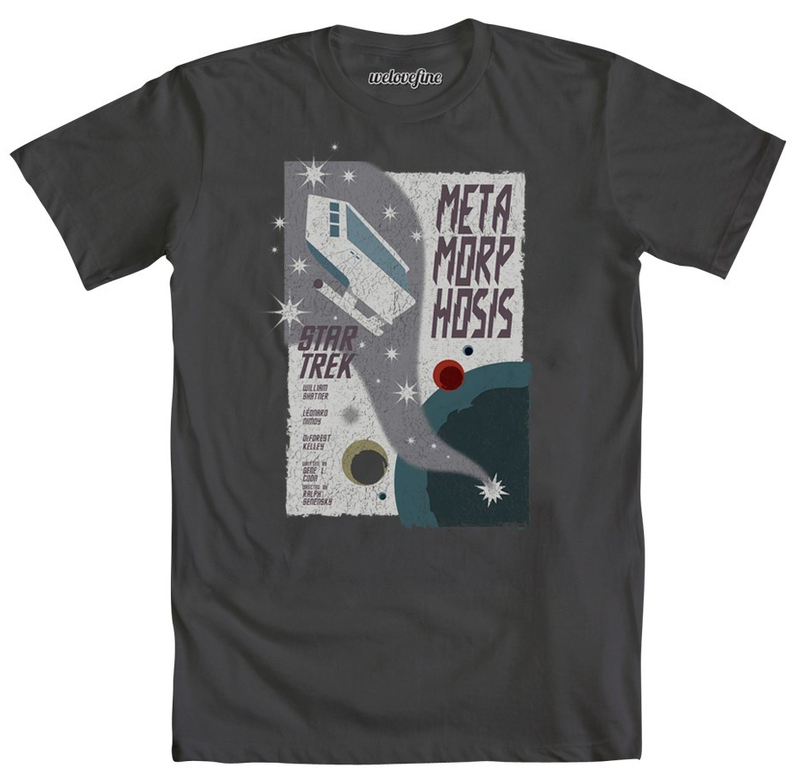 If you're a Star Trek fan, you'll get it. 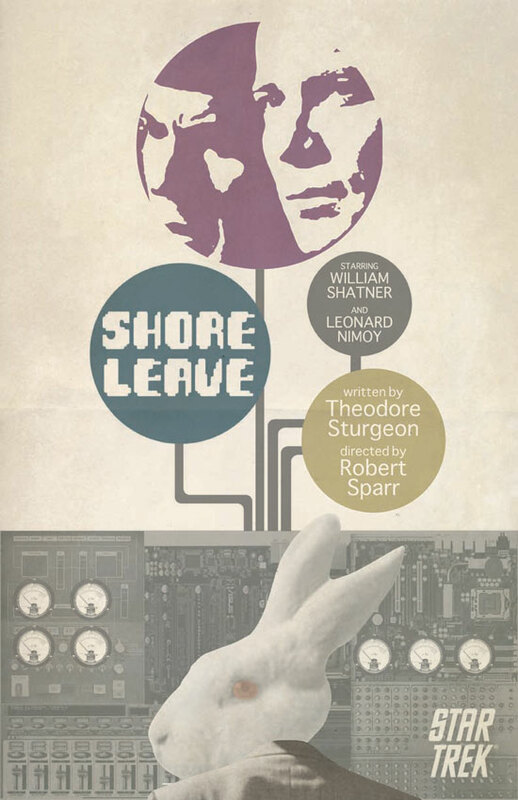 If you're not a Star Trek fan, you will hopefully want to watch the episode. I wasn't trying for anything fancy on this one. I felt like I had a pretty good layout, so I kept it as is. I had been inspired by Japanese posters. That's why the copy is so bold. 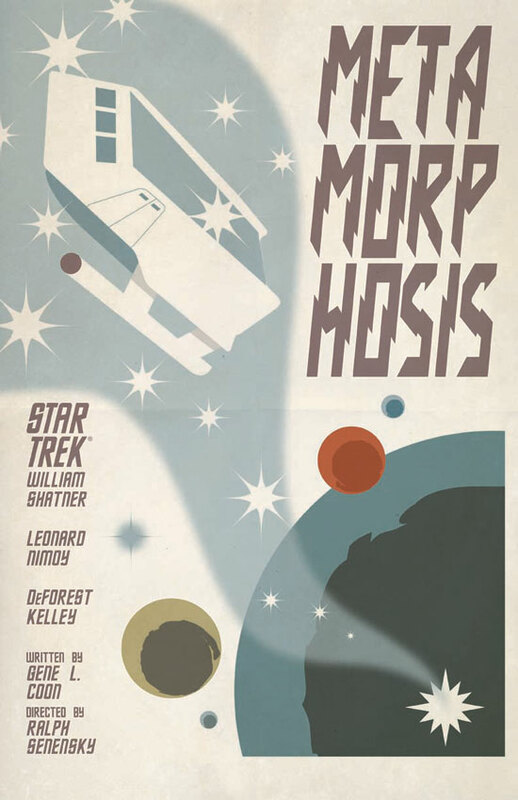 It morphed into more of a magazine cover, instead. But that's okay. Where I start is not as important as where I end. I did spend a lot of time at the magazine section of the Japanese bookstore. So that may account for the course change. 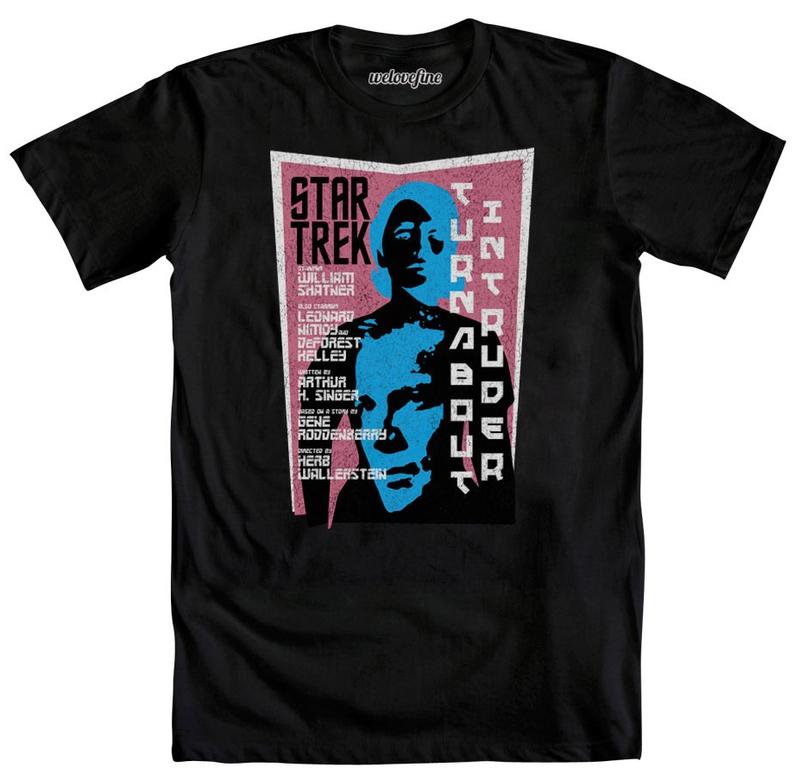 Despite the obvious, I did not pick the pink and blue because of the male/female switch in the episode. I wanted something bold and the blue and black both really popped against the pink. I was worried that this one may not sit well with the rest of the group, but it makes a good segue into the more brighter Animated Series prints that I created the next year. 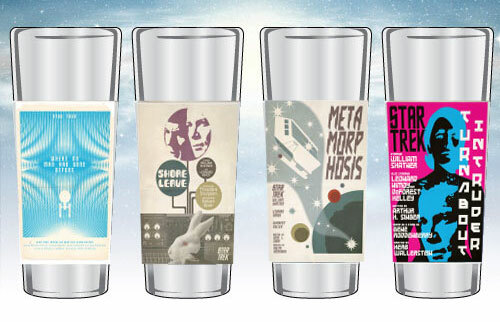 As ever all four designs will be released as a set of posters, as well as printed on T-shirts, and shot glasses. To mark the end of the series, We Love Fine also have a promotional offer; if you want enough Star Trek T-shirts to keep you clothed for almost three months without doing any washing, you can buy the entire series of eighty designs for 20% off the full price, which takes it down to just $1600.